Did you know that you have spirit animals that work with you in your life? You have spirit animals who may work with you your entire life, during certain points of your life, or you may find that furbabies that have crossed over come back to check on you. The animals that work with you in this life can help to reveal things that will help you on your path. - Who are your animal spirit guides? - How long will they stay with you? - What is their reason for working with you? 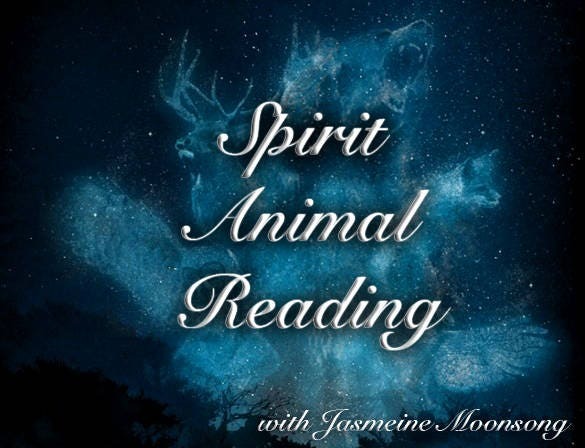 These are just a few of the many questions I can answer for you as I design a custom Spirit Animal reading for you. This reading can you tarot or oracle cards. The number of cards I work with is up to you! The more cards you choose, the more information I can get for you. I look forward to working with you and your Spirit Animal guides! If you have specific questions you want me to answer, put them in the notes and I will do my best to get answers for you. Worth every penny! LOVED this purchase! Thinking about it? Get one! Soooo detailed and informative, thank you! !